It’s finally finished! After months of off-and-on recording at our home studio, followed by months of off-and-on mixing, we’ve finally got all the tracks ready for mastering! Now there is just one more step before sending the songs off to be neatly packaged into nice looking CD’s. That final step is the crucial mastering step. This is what should make all of our songs louder and tonally balanced to sound like they were all recorded together and “tie” together well on the same album. Considering our title track was actually recorded on a portable 4 track a few years before we even started on the other songs, this won’t be a simple task. After much deliberation on who would be best for the job, we decided on Brian Lucey at Magic Garden Mastering. 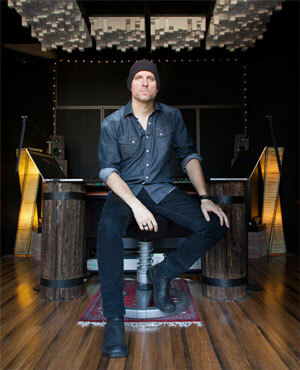 He has mastered albums for The Black Keys, Beck, Arctic Monkeys, The Shins, Counting Crows, Marilyn Manson…). Some are multiple Grammy Award winning albums. Anxious to hear the difference.